Women can be mothers and productive members of society simultaneously, if given the opportunity. 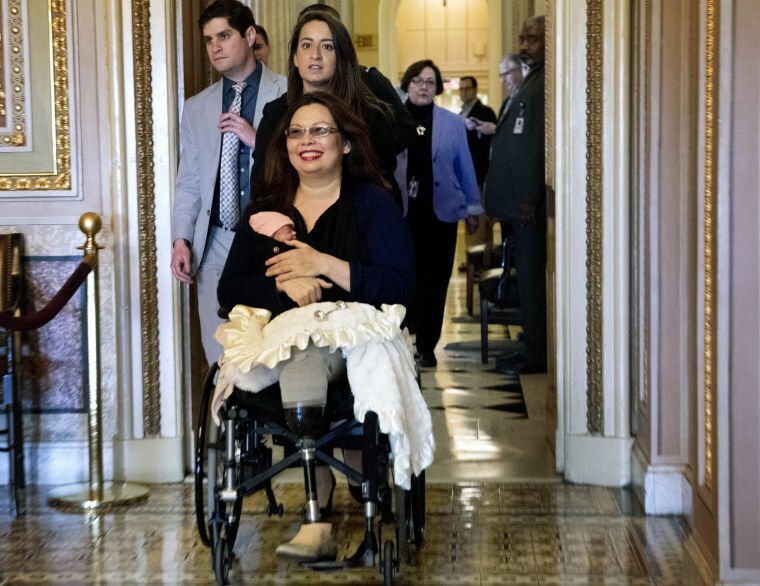 Senator Tammy Duckworth, D-Ill., recently made history as the first senator to give birth to a child while serving in office and, on Thursday, made history again as the first mother to bring her newborn to the Senate floor while Congress is in session. Senate rules had to be amended in order to allow babies under the age of one to be on the floor during votes; the change was made specifically with Senator Duckworth and her newborn daughter in mind. Senator Ben Sasse, R-Neb., wrote of the decision, “We, as a society, ought to be coming alongside new moms and dads and supporting them as best we can.” On this, Sasse is absolutely correct. Why are we to assume that business cannot be done while a mother holds an infant? Making it easier for women to care for their children without causing unnecessary stress and burden on either is an issue that unites both pro-life, pro-family conservatives and pro-women’s rights progressives — or it should, at least. Babies need their mothers, and that need doesn’t disappear because a mother has a job to do. They need them for nourishment, and they need them for emotional comfort. There are studies that show increased stress hormone levels in babies separated from their mothers in both monkeys and humans. It makes perfect evolutionary sense: If mammal babies rely on their mothers for physical safety and nutrition, they experience stress if they are separated. The Senate may have stumbled on a workable model that can help stressed out mothers and babies adjusting to their new reality. And, as a mom, I can tell you from experience that mothers experience stress when separated from their infants. Countless books have been written about how mothers can “have it all” — care for their children, their careers, and if there’s time, themselves — but there’s no magic solution to what’s proven an intractable problem for too many women. And the Senate may have (for a change) stumbled on a workable model that can help stressed out mothers and babies adjusting to their new reality. If we want more babies and for more women to feel empowered, making it possible for mothers to juggle work and family — as the Senate has for Sen. Duckworth — is the right start. But I have balanced full-time, stay-at-home motherhood alongside a writing career for almost five years (and I’m not unique in that). I have brought my children to interviews, to speaking engagements and on work trips. I’ve nursed a baby during a live video interview that began later than anticipated (which would otherwise have fallen during a nap time), I’ve bounced a baby in a baby carrier while giving testimony in open court. In the background of almost every single work-related call is the sound of children laughing, arguing and, sometimes, both. It requires flexibility on the part of my coworkers, editors and interview subjects, as well as on my part and that of my children as well. The adults don’t mind; most are used to hearing kids in the background of their own homes growing up or now. They understand that I’m a whole person — a mother and a writer — and I have yet to encounter someone who felt uncomfortable hearing my kids talking in the background of a call. My kids are also being taught valuable lessons about behavior and decorum as well; They learned early on what it means to be quiet while “mommy is doing a radio hit” in the other room. I schedule their small allotment of screen-time based on my podcast recording schedule. They don’t always get it right, they aren’t always angels, but these lessons are part of what they need to grow up into civilized adults. This week the Senate made it clear that not only can women juggle both work and motherhood but, if they choose to, they should be given the opportunity to do so as well. Women can manage to be mothers and productive members of society simultaneously if given the opportunity. Mothers are human beings, and that motherhood doesn’t stop at the start of a work day. If we want more babies and for more women to feel empowered, making it possible for mothers to juggle work and family — as the Senate has for Sen. Duckworth — is the right start. The age at which women first become mothers over the last several decades has been going up for decades. There has been a great deal of discussion about why; One of the reasons most often cited is the desire for women to feel better able to balance home and work obligations. Women also want to be feel more stable in their careers before taking on the added pressures of marriage and motherhood. So, when mothers are forced to leave their babies behind in order to return to work full-time, or decide to leave the office altogether to stay home full-time, their younger counterparts aren’t able to see how possible it is to juggle both. This week the Senate made it clear that not only can women juggle both work and motherhood but, if they choose to, they should be given the opportunity to do so as well. Bethany Mandel is an editor at Ricochet, a columnist at the Jewish Daily Forward, cohost of That Sethany Show and Ladybrains podcasts, and, in her spare time, a stay-at-home mother of three. 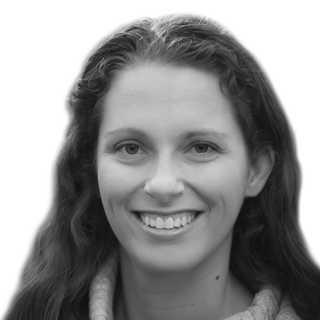 Bethany Mandel is a senior contributor to The Federalist, an editor at Ricochet, a columnist at the Jewish Daily Forward and, in her spare time, a stay-at-home mother of three.